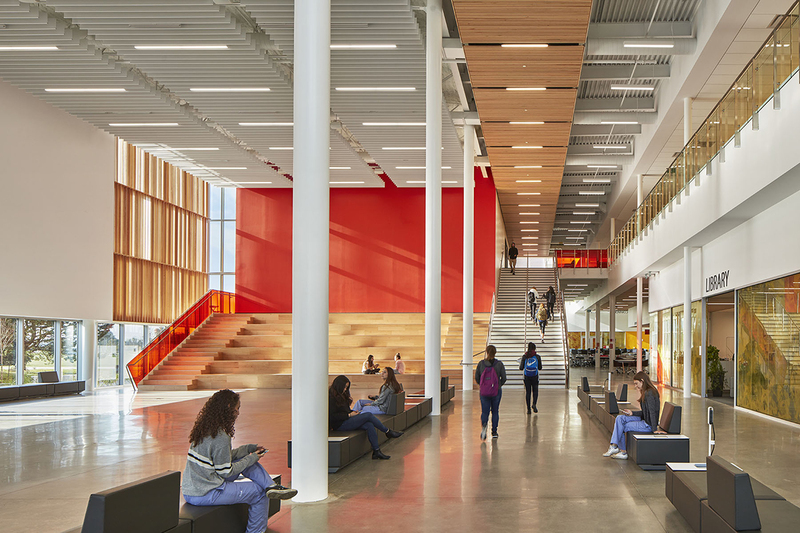 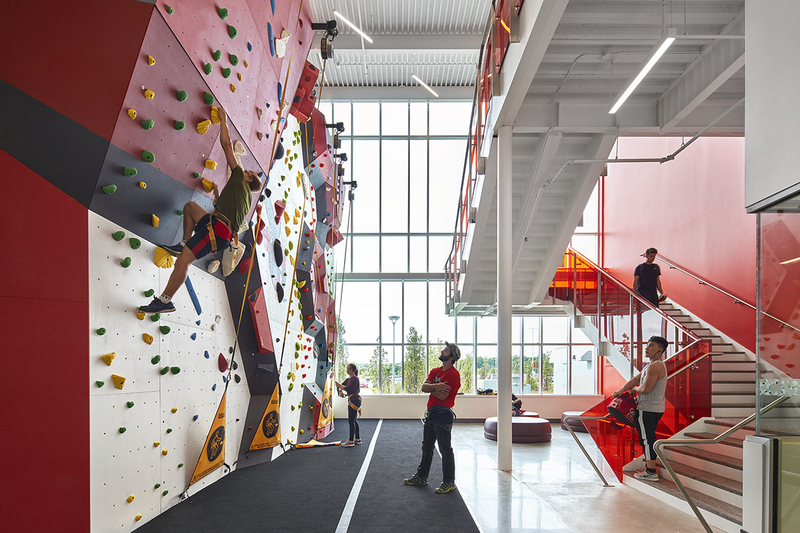 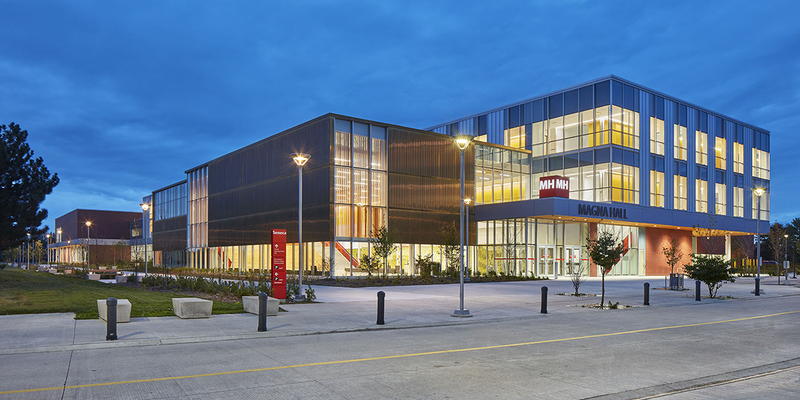 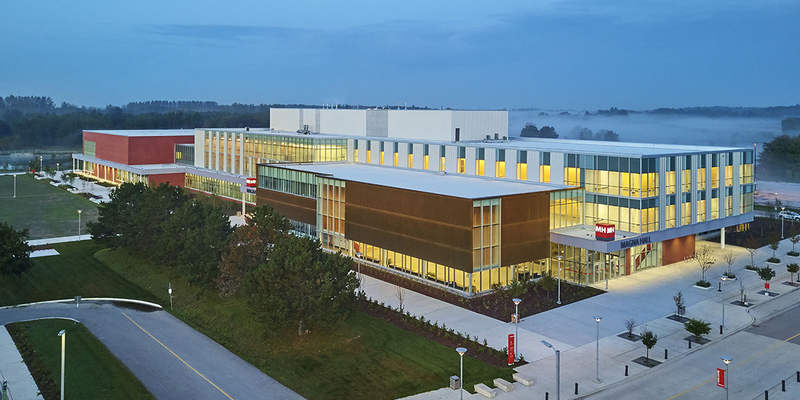 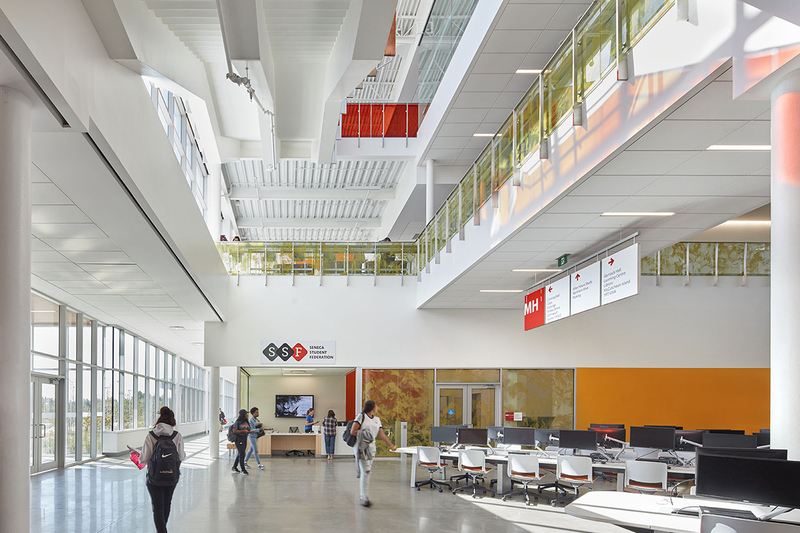 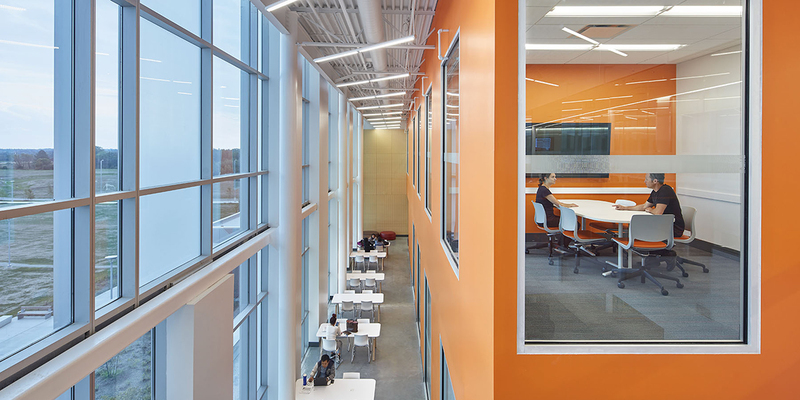 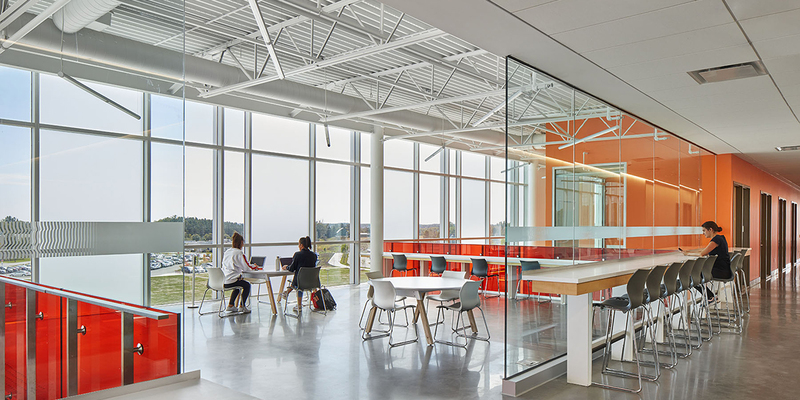 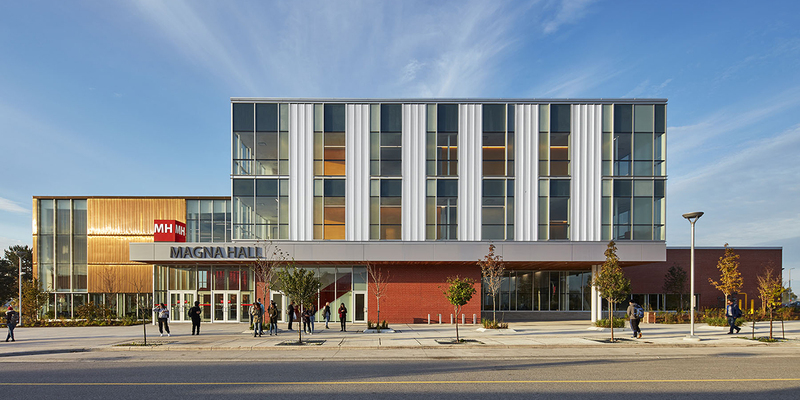 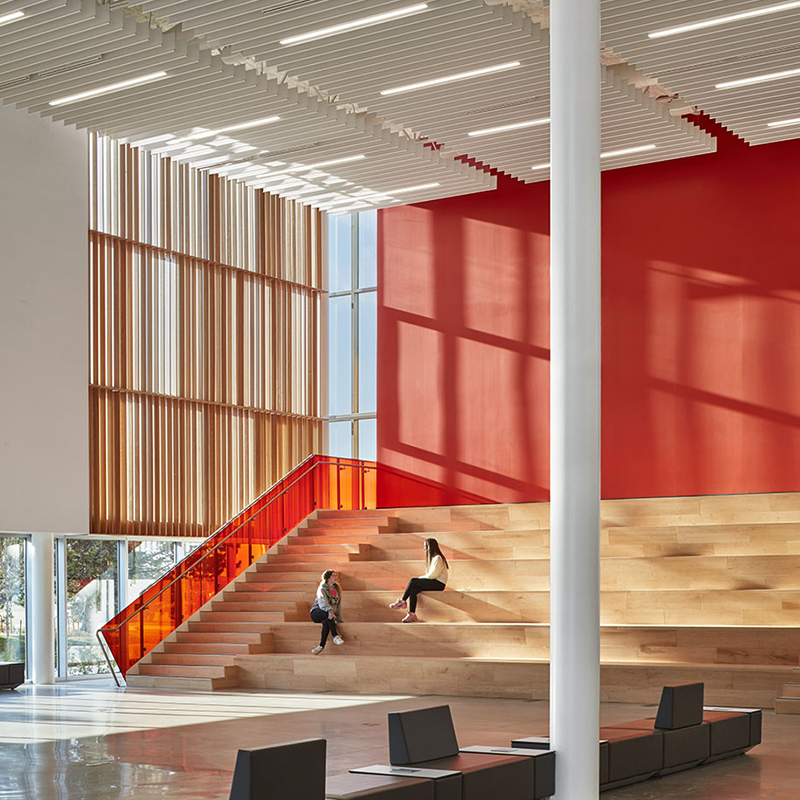 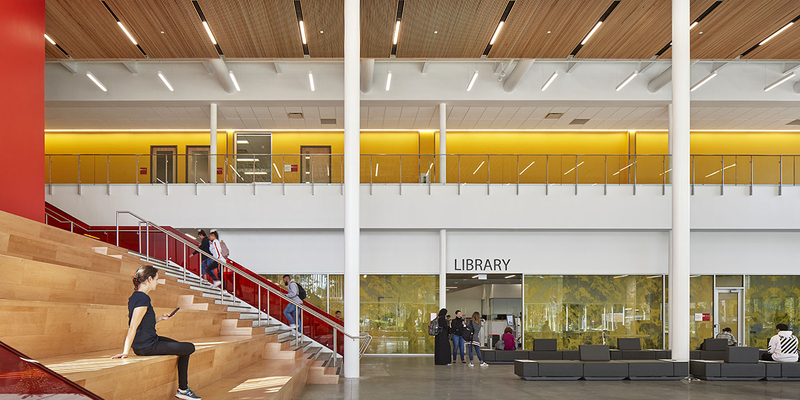 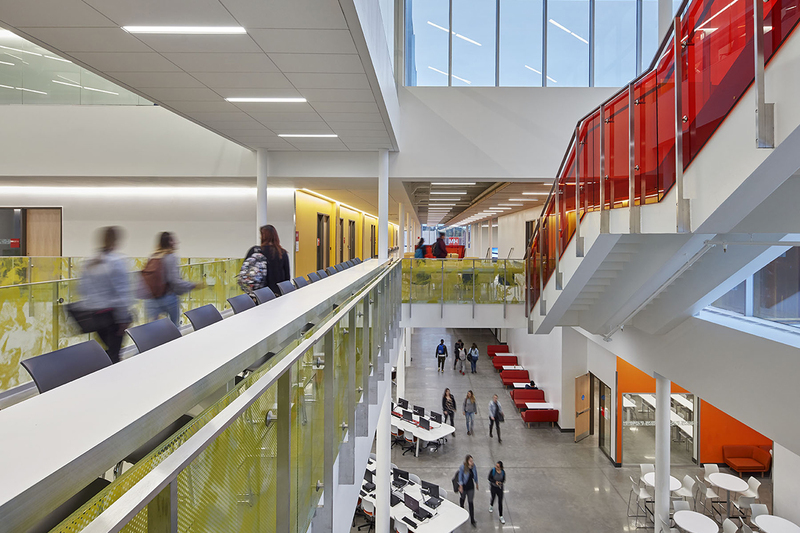 Seneca College’s Magna Hall, located in King City just north of Toronto, expanded its existing facility in the largest revitalization project in the college’s history. 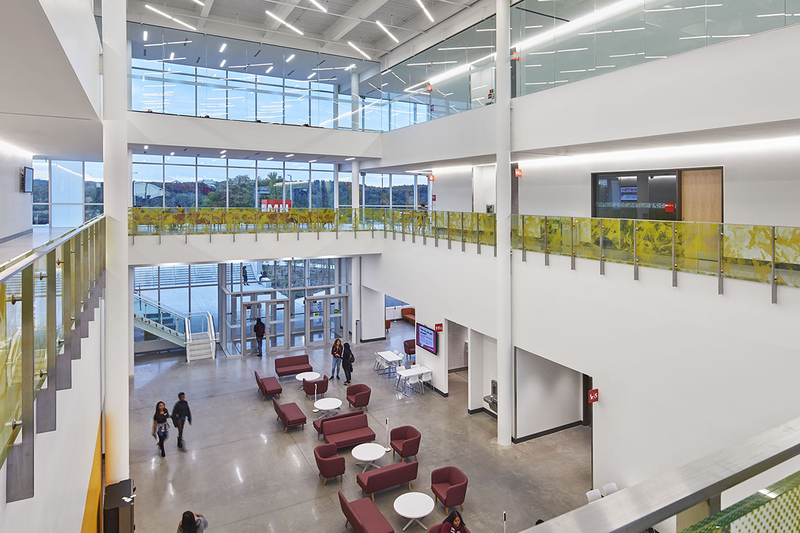 The expansion increased the college’s teaching and learning capacity from 3,500 to 5,000 full-time students. 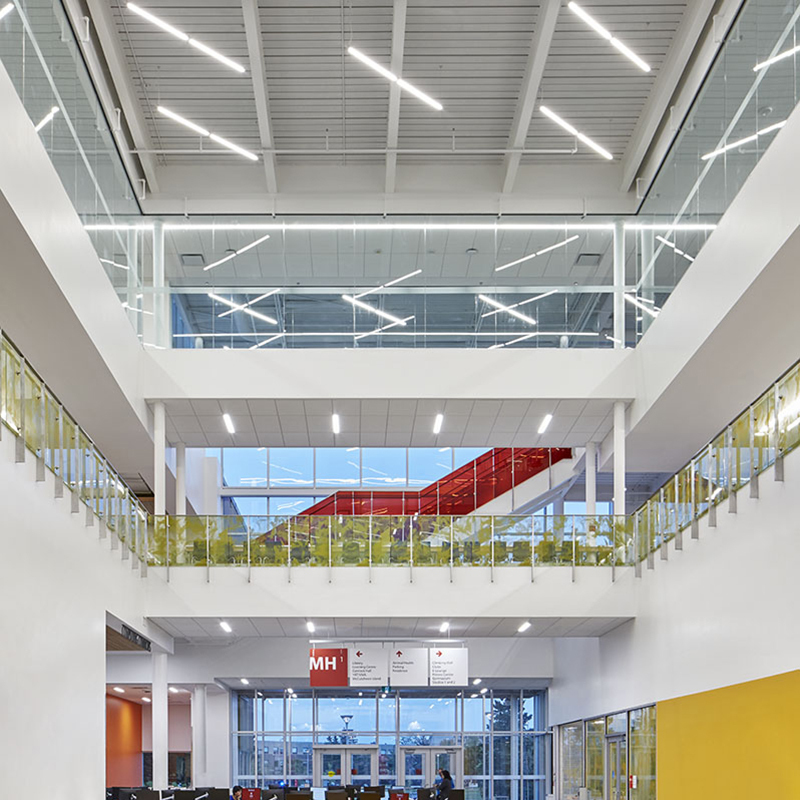 Delivered through an Alternative Financing and Procurement model with Infrastructure Ontario, the project was completed in 2018. 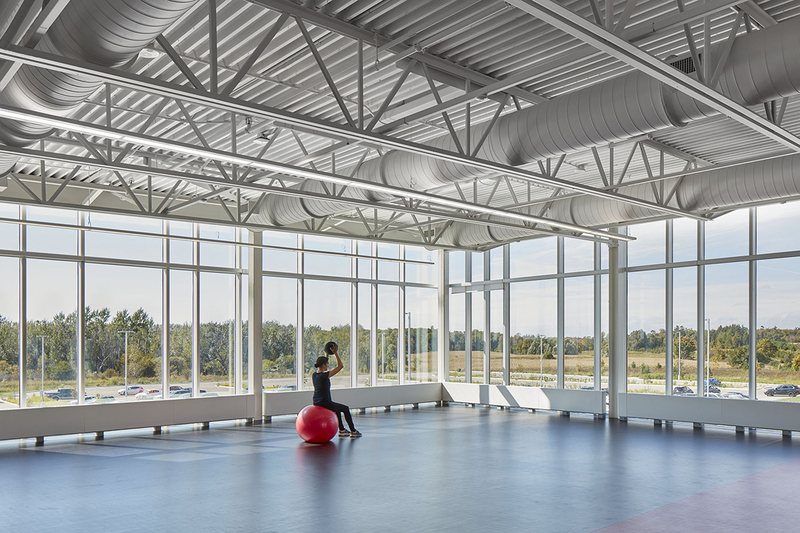 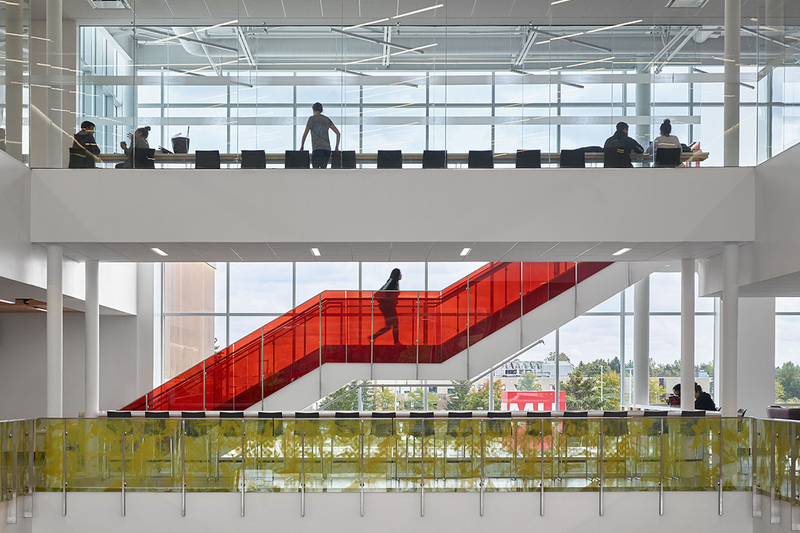 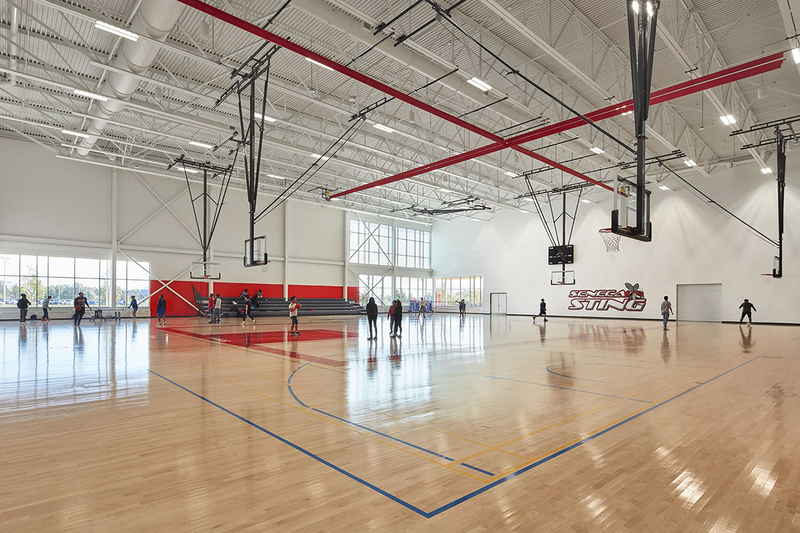 The project targeted LEED Gold and expanded the campus’ facilities by 200,000 ft² with 25 new classrooms, as well as computer labs, specialty labs for training, a library, learning commons, student study space, a new student area with a multi-purpose athletic and recreation space, gymnasium, fitness centre, informal study areas, and event spaces. 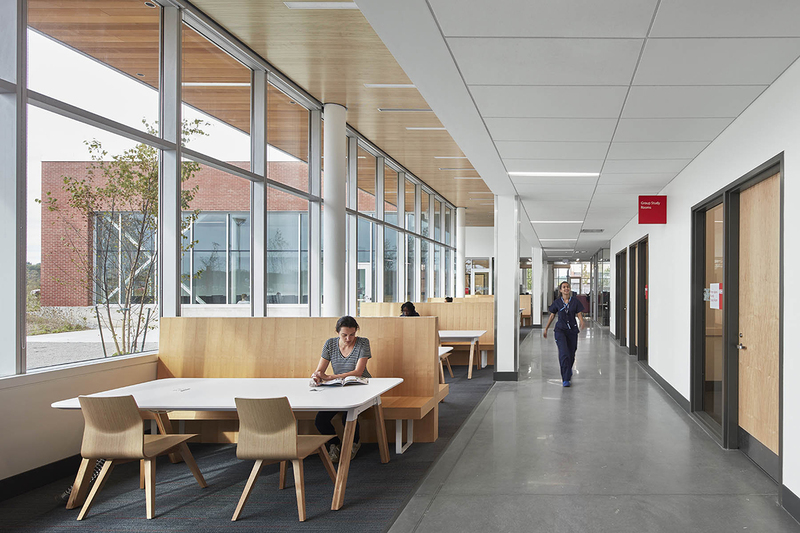 The expansion provides more space for students to learn and aids Seneca in expanding its training facilities to support a range of programs, such as its diverse primary healthcare programs. 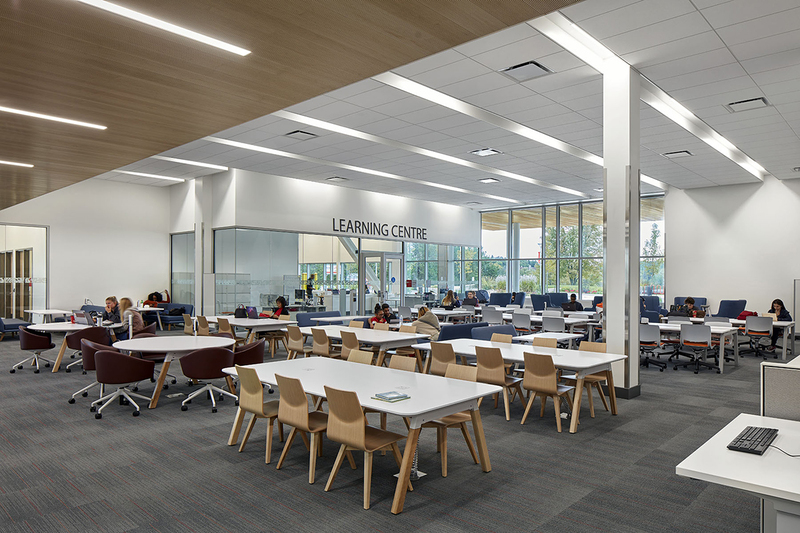 Additional classrooms and labs allow new courses to be offered at the King Campus to better meet the evolving needs of industry and families in the York Region.